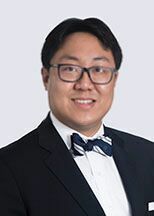 Kyle Chen is a registered patent attorney focusing his practice on patent, patent litigation, and IP counseling. He represents clients from a wide range of technology sectors. Prior to joining Honigman, Kyle worked as an attorney representing multinational corporations where he helped prosecute hundreds of patent applications in the fields of telecommunication, display, consumer electronics, automotive related devices, digital and analog control systems, and other electrical and mechanical technologies. Kyle is fluent in Taiwanese and Mandarin Chinese. Served as a legal intern for AbbVie, Inc.